Welcome to the Ultimate Holiday of Australia, a country packed with such diverse landscapes and inspiring culture the challenge is how do you fit an ultimate tour into 2 weeks, and experience the best that Australia has to offer. From the endless space and changing colour of the Australian Outback and Red Centre to the awe-inspiring national parks of the Top End. From the big city excitement of Sydney and Melbourne where you will find the 'escape' zones where locals go to relax to the underwater wonderland of the Great Barrier Reef, with miles of pristine, sun-loving coastline in between. Discover 40,000 years of indigenous history, wildlife that you never realised existed ad local characters that will fill you with hospitality and warmth for your memories that will last a lifetime after your return home. The itinerary below starts in Melbourne, an ideal city in which to begin a trip of Australia. Not only is it very accessible from the UK but its many attractions provide a fantastic start to any holiday. DAY 1: Arrive in Melbourne, an ideal city in which to begin a tour of Australia. Slowly recover from the long flight by finding your feet in Victoria's capital city. The city boasts many fine examples of nineteenth-century architecture following the Victorian gold rush; beautiful parklands and botanical gardens that create a serene contrast to the fast pace of this city; absorb the high culture at the Melbourne Museum. Later in the day dine out in the docklands or perhaps take a stroll through the boutique drinking spots of its famous laneways. 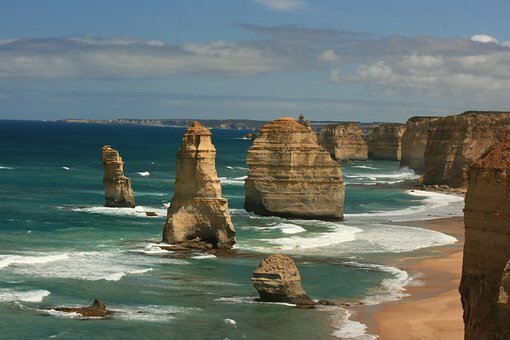 DAY 2: Set off on Australia's favourite road trip, along the Great Ocean Road where you can view the deadly Shipwreck Coast and the iconic limestone stacks of the Twelve Apostles. DAY 3: See another superb area of the Great Ocean Road, the wild rainforest of the Great Otway National Park and the surf friendly waves of Bells Beach before returning to Melbourne for the evening. DAY 4: The beauty of a great city is to be able to offer a place of escape - a weekend retreat where you can slow your pace and relax into your surroundings. Melbourne has several options as the landscape fans out to the east of the city and one of the first changes are where the outskirts of the city give way to the Yarra Valley. 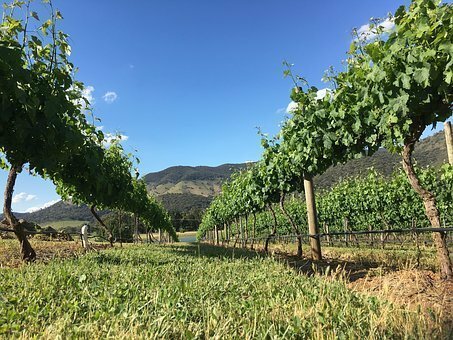 The Australian wine industry has bloomed in the last 20 years with vineyards flourishing here as do the wineries that craft the chardonnay and pinot noir. Enjoy a day out from the city and sample fantastic local reds and whites. Cheers! DAY 5 & 6: An early start to fly to Ayres Rock to experience the iconic Uluru-Kata Tjuta National Park. Uluru (Ayres Rock) stands at 348 meters high and so is taller than the Statue of Liberty and the Eiffel Tower. Just 45 minutes west of Uluru is Kata Tjuta, a series of rock formations estimated to be over 500 million years old and these 36 domes are best explored through either a Walpa Gorge or Valley of the Winds walk. Key highlights for your 2 days here would be to include a base tour of Uluru with a local Anangu guide followed by a gourmet meal under the stars at the Sounds of Silence dinner with Uluru ahead and Kata Tjuta behind. on Day 6 enjoy watching Uluru at sunrise to notice the changing colours, that differ at sunset then join a Valley of the Winds walk. Spend the afternoon at leisure or exploring the Uluru- Kata Tjuta Cultural Centre that explains this landscape from the perspective of the local Anangu people. 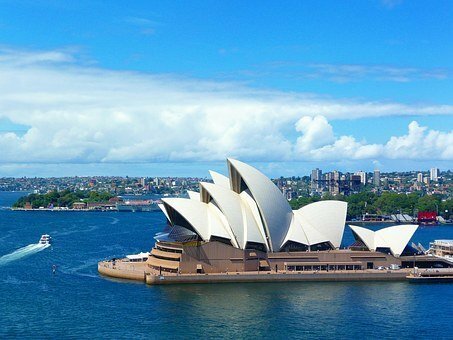 DAY 7: An early start to fly to Sydney, the capital of New South Wales, home to beautiful beaches and historic, celebrated landmarks sights such as the harbour, its famous bridge and the iconic Opera House. Visit the Royal Botanical gardens, one of the city museums or Sydney zoo, a 15min ferry ride from Circular Quay. Take a ferry to Cockatoo Island or Watsons Bay and enjoy the beauty of the harbour and its surroundings. 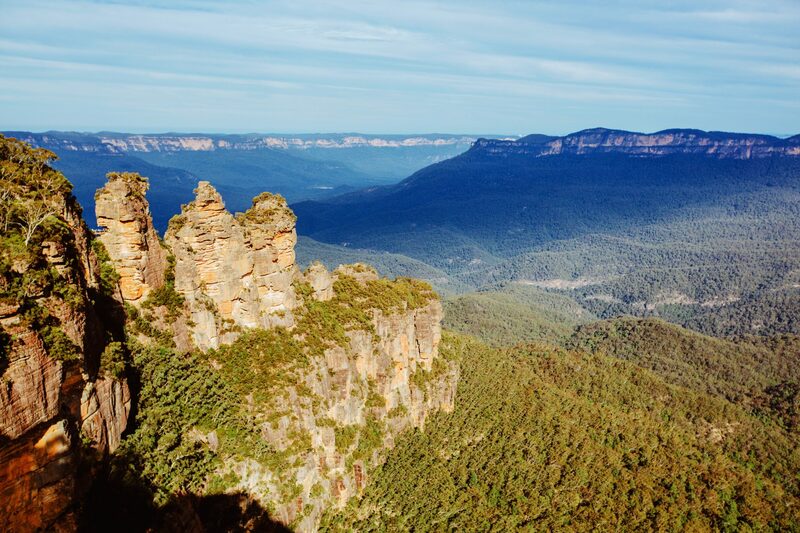 DAY 8: Take a day trip out to the beautiful Blue Mountains, a World Heritage site region, only 90 minutes west of Sydney. Ancient rock formations, the spectacular Jenolan Caves, thundering waterfalls can be enjoyed via bush walks, hikes or jump into a 4WD, or onto the Scenic Railway, for a tour into the depths of Jamison Valley. DAY 9: A further day in Sydney to enjoy this great city. To the north and south there are many beachside suburbs to explore with great cafe's and eateries. The famous Manly and Palm beaches are at either end of a beautiful stretch of coastline that offers great surf beaches, cliff top walks and al fresco dining. Catch the ferry to Manly from Circular Quay to hire a bike and take in the scenery or walk the Manly to Spit Bridge Scenic Walkway. DAY 10 & 11: Fly north into the coastal wonderland of Queensland, at Brisbane and experience the city's great al fresco dining and vibrant art scene. Key to Brisbane's culture is that it is home to Australia's largest gallery of modern art, and inner-city beach, the Queensland Performing Arts Centre, the Queensland Art Gallery and the Queensland Museum and Sciencentre. If art is not your passion then an hour from the city travellers can visit Lone Pine Koala Sanctuary to cuddle a koala and feed the resident kangeroos. Alternatively take a ferry to Moreton Bay and nearby islands for beach activities such as snorkelling, sandboarding, quad-biking and dolphin feeding. DAY 12 : Take the short transfer north to the Fraser Coast, a holiday playground surrounded by nature with long sandy beaches relaxing island retreats, abundant marine life and national parks. Round off your holiday in fabulous style by relaxing into the blissful surroundings of Fraser Island, a sand strewn isle of just of the Queensland coastline and recognised for it beauty as a World Heritage site. Either on the way to the island, or on your return to Brisbane try to take some time out whale watching. This is a very special experience for visitors to enjoy (July to November) when migrating humpback whales rest, play and feed their calves before travelling onto Antarctica. 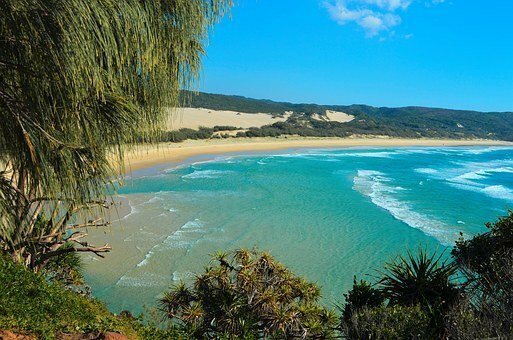 DAY 15: Bid a fond farewell to the beautiful Fraser Island and Australia as you transfer back to the international airport at Brisbane for your fight home.